"Never look back except for an occasional glance. Look ahead and plan for the future. Success is not built on past laurels, but rather on a continuous activity. Keep busy searching out new ideas and, experimentally, keep ahead of the times, or at least up with them." What a great and inspirational quote. Thanks for sharing. great quote, made my day .Cheers! Great quote. 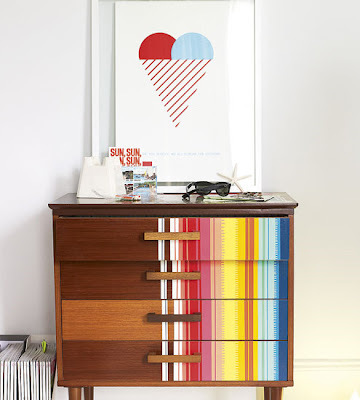 And that dresser is amazing! Fabulous photos, I adore the stairs and the rainbow dresser. 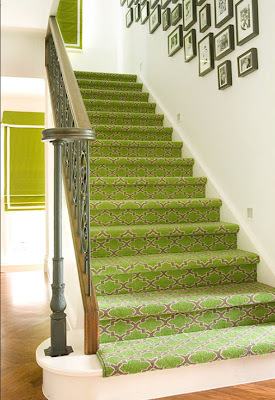 green stairs are making me swoon! love them! Beautiful photos! My favorite is the photo of the green stairs, absolute gorgeous. Great quote!! And really good advice! I LOVE THE GREEN CARPET ON THE STAIRS!!! LOVE IT LOVE IT LOVE IT! Not to mention all the other fabulous pics. 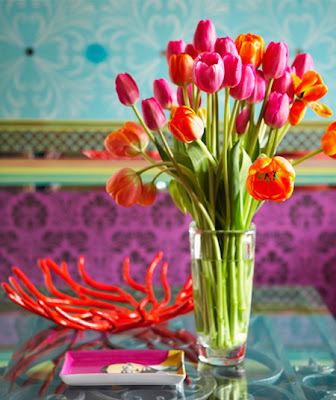 You always give me such amazing home decor inspiration. Great quote! And the photos are fabulous!